Home / Opinion / Social Media / Former NPA leader inspiring message to College students: "May Presidente tayo nagtatrabaho who have a foul mouth, kahit mag-mura kita mo naman may gawa." Former NPA leader inspiring message to College students: "May Presidente tayo nagtatrabaho who have a foul mouth, kahit mag-mura kita mo naman may gawa." The conflict between the government and the rebels has long been inhabited. Several decades have passed since the rebels have shouted out their grievances to the government and chose to live in the mountains, far from urban. 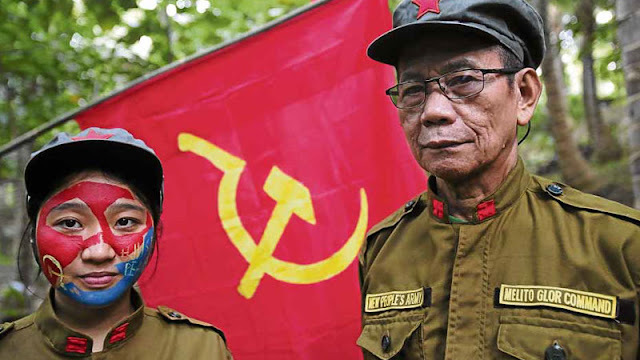 Many Filipinos have joined the rebellion and lost lives but still have no justice. Many of them have also survived from peaceful communities. Evil and violent, that is the first words that come into our minds whenever we hear the word "rebel." And the news that goes out to the mainstream media makes it possible for these leftist groups to make fun of them and to sow terror. 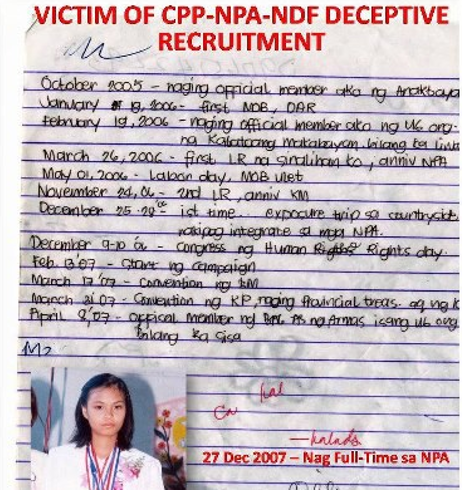 Many have been recruited by the New People's Army (NPA). Some have grown old and have chosen to leave and live quietly. And others, choose to share how the life of being a rebel and surrender themselves to the government to become a civilian once again and tell stories what are they fighting for. Just like an inspiring story of Ka Tina who is one of the leaders who are recruiting people to join the ranks of the NPA and now a civilian. In a speaking engagement by Ka Tina in front of many students, she shared her life since she became a member and a leader of NPA and until her release from the group. Ka Tina said she regrets joining the rebels along with warning that it will leave its place. She also revealed to the youth the tactics used by the leftists to which emotions they use to persuade people. She added that the group does not want people to think, but only those who follow it. 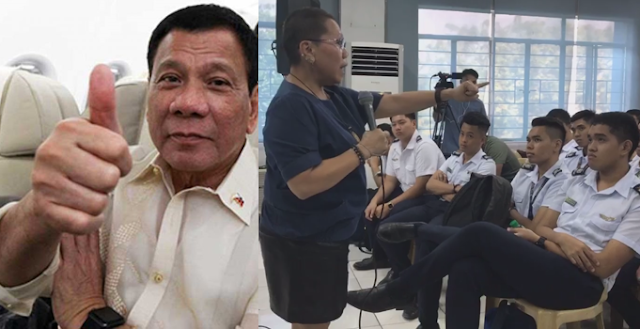 Ka Tina is not a known supporter of Duterte, but as a former rebel she is aware on how a president should be since she joined the group because she is not happy with the government. Ka Tina also mentioned that one of the activities of the rebel group was to destroy infrastructures. According to Ariane Nicole, she seems to be pertaining to someone who looks innocents but with hidden motives. "Gusto kc nila yung mukha lang mabait pro maitim ang budhi.... o yun kagalang-galang nga nasa loob naman ang kulo... buti pa yun mukhang sangano pro makikita ang mabuting ginagawa... yung panay sabi ng tuwid na daan kabaliktaran lang pala.. ang tutuo baluktot na gawain... yung cnasabing ikaw ang boss.. d pala sa taong bayan yun..pra pala sa mayayaman yun.. kaya mas mabuti pa yun pala mura marami naman nagagawa at hindi tamad d tuld ng iba puro batikos lang ang alam d magtrabaho.. sayang pasahod ng bayan." Maricris Frei said, "Tama po kau, masippag at mapalad tau na nagkaroon ng Presidente na may malasakit sa bayan." A netizen named Evelyn Gramaje requested Ka Tina to speak to schools to serve as an advocate and a living witness of the works of rebels. "Tama ka Tina, ikaw ang lving witness kung ano ano ang mga kahayupan ang ginagawa ng mga NPA.. kaya mas mainam kung mag advocate ka sa mga schools kung saan doon nangyayari ang recruitment sa mga kabataan. Salamat ka Tina." Armando Aliman also agrees to the comment of Evelyn Gramaje saying, "Tama po yan ka Tina para mamulat ang mga kabataan dapat ikutin niyo po ang buong lahat ng university sa buong Pilipinas UP marami po dyan,"
Ali Muken said, "Ka Tina is a good testimony of what NPA is about. They like to stir emotions to recruit, and the bottom line is for what? Where have they been? Can we ask any of those place of the NPAs accomplishment(s) for the good fo the masses in the locality if any - even at the barangay level. A concerned citizen also says that Ka Tina needs to ask protection from authorities for NPA is just around her life may get at risk. Flor C Vinuya said, "Be careful Ka Tina, baka may NPA jan sa likod mo... Ur talking against them.. Pls ask for military protection.. Madami yan cla." These are only some of the testimonies which were brazenly violated by the front organizations.. Rights which should and must be protected at all cost but sad to say exploited and abused by the New people’s Army.